Canada offers International Students one of the finest choices for studying at world famous Colleges, Universities and Institutes of Higher Learning. Amongst some of the most popular study destinations in Canada are Toronto, Montreal, Mississauga, Alberta, Vancouver, Calgary, etc. Study Programs for International Students in Canada are designed to offer a wide choice of Subjects including Research enabling students to carve out a brilliant career pathway. The fact that stringent practices involving high focus on practical and seminar based education makes it a valuable experience for an enriched life ahead. College, Universities and Institutes of Higher Learning granting Undergraduate Degrees, Post-Graduate Degree, Diplomas, Certificates, PhD General and PhD ASA, in Canada are globally recognized, accepted because of the exceptionally and consistently high quality of education imparted. Supportive academic environment along with approachable professors make Canada a preferred destination for study. The vibrant and lively classrooms reflect the cultural diversity of the country. For International Students studying in Canada means having the power and understanding to influence the betterment of the Canada’s economy. Hence, the Government of Canada encourages International Students to apply for pursuing their studies in Canada, with a possibility of Immigration. 2. Why Study in Canada? Well, for starters, Canada offers various options in your Study Program from Undergraduate to Bachelors, from Masters to Post Graduate, and from Diploma-PG to PhD General and PhD ASA. Canada offers a very high standard of living, a very good, affordable lifestyle, access to one of the finest healthcare and social care benefits. You also have access to good quality education for your dependent children who can avail Government subsidized education. As an International Student, there are vast opportunities of exploring and being able to work during your studies within the given working hours period (on-campus/Off-campus), as well as being able to work Full-time during your Vacation Periods. Perhaps one of the BEST attractive features of being an International Student in Canada is your being eligible to apply for a Canada Permanent Resident Visa for 3 years, after which you’re well on your way to becoming a Canadian Citizen, entitling you to avail all the rights, benefits and privileges enjoyed by other Canadian Citizens. Inexpensive, Quality Education, Work and Settle! Canada welcomes you as an International Student looking forward to embarking on a journey of quality education leading to your Permanent Residency and then your Canadian Citizenship. Students migrating to Canada through the education route have been key contributors to Canada’s table economic growth spread over a long period of time. Besides, two-thirds of the 5.4% increase per annum in Canada’s population is largely due to immigration. Perhaps, Canadian liberal and buoyant Immigration Policies make it one of the simplest immigration systems in the world. As an International Student in Canada, you’re allowed to live and work in Canada, and then become eligible to apply for a Permanent Resident status, followed by obtaining your Canadian Citizenship after 3 years. But this comes with certain responsibilities and may be revoked if the holder does not meet Canadian Residency obligations, or is found guilty of serious criminal activity. Canada – The most beautiful place to study on earth! Reasons WHY? More than 180,000 International Student flock to Canada every year as the country is increasingly becoming the No. 1 Top Choice for Students belonging to different parts of the world. Canada speaks in TWO Languages! Canada is a bilingual! There are two official languages – English and French. The vast majority which is 75% of Canada’s French-speaking inhabitants live in the province of Quebec, located in the eastern part of the country. There are also French-speaking communities residing throughout the country. English is however, the main language of communication in all provinces (other than Quebec Province). A wonderful, illustrious, high-pay job and career awaits International Students graduating from Canadian Institutions that are known for high quality world class education standards. Perhaps one of the best and most compellingly attractive factors is that of affordability of the cost of education in Canada. Institutes, charge lower tuition fees for international students than those charged by their counterparts in competing countries. However it has to be borne in mind that since fees being affordable, admissions are more competitive when compared to other countries. Yet another redeeming feature is that Canada’s inflation rate has remained one of the lowest in the industrialized world over the last few years. Provided that International Students studying in Canada are able to score a minimum of 67 Points under the eligibility criteria defined, they can apply for their Permanent Residency. The process usually takes up to 15 to 18 months from within Canada. Once Permanent Residency Status is granted, Canadian Residency follows soon within the next 3 years! CANADA – Ranked as the Number One Country and a safe place to study! Canada’s worldwide record for being ranked as the Number One Country to live and study is a feat held by the country for the past 9 consecutive years. This is based on a United Nations Survey that’s conducted every year. The Survey evaluates quality of life in 174 countries, using over 200 performance indicators. It’s worth mentioning here that Canada earns particularly high marks for its access to education, high life expectancy and low crime rates. Regarding ensuring safety of life for International Students on their Campuses, most universities/colleges in Canada have their own campus security that operates on 24/7/365 basis. To further enhance security, there are “Walk Safe, Stay Safe” programmes to assist people in getting to public transportation especially during late hours. 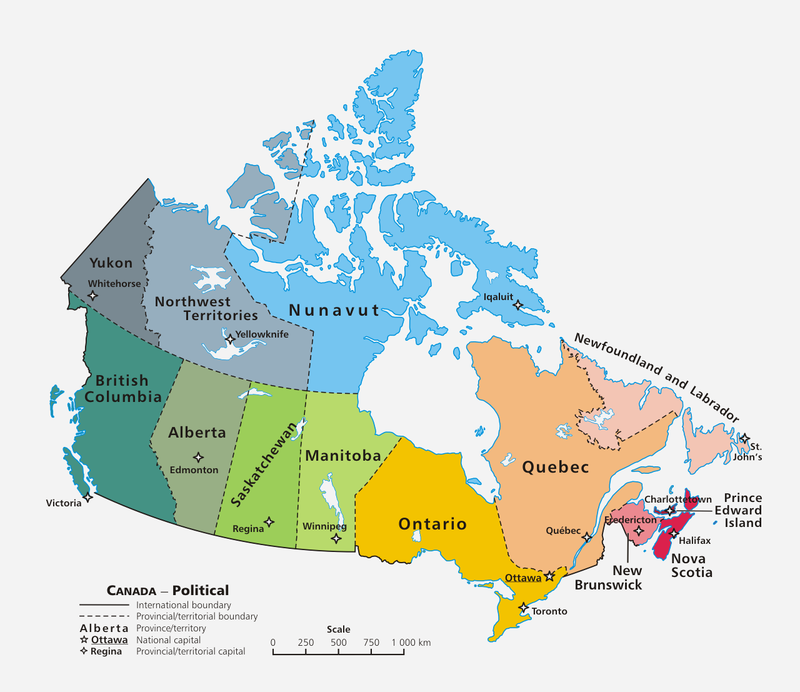 There is no Federal (Central) Education System in Canada as education in Canada is under the complete jurisdiction of the provinces and territories (States). As such, and in keeping with the national commitment to education, public education in Canada is free up to and including secondary school (Class 12 or Higher Secondary Certificate – HSC), in all the provinces. 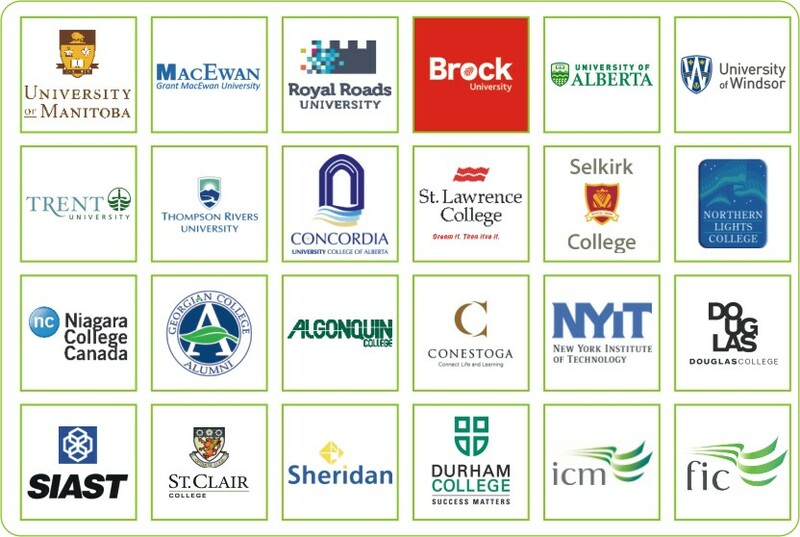 At the post-secondary level, institutions are divided into community colleges and universities. A significant number of university graduates attend college upon completion of their degree in order to acquire vocational skills for employment. Education in Canada is generally divided into primary education, followed by secondary education and post-secondary. Education is compulsory up to the age of 16 in every province in Canada, except for Ontario and New Brunswick, where the compulsory age is 18. At SIEC Education, we assist students aspiring for Higher Education in Canada (Post-Secondary Level). Undergraduate: Three of four years leading to a Bachelor’s degree. Non-Québec students require an extra year to complete the same degree because of the extra year in college. One or two years: Leading to a Master’s Degree. Three or more years: Leading to a Doctoral Degree. Scholarships though available barely cover the full cost of your study program. These are available only to those International Students who achieve exceptional results at some Canadian institutions. Such Scholarships only cover a part of a student’s education and living expenses. You would be surprised to know that the International Students community in Canada contributes nearly a whopping $6.5 billion every year boosting Canada’s economy! The number of International Students who have enrolled as full-time students in Canadian universities in 2008-09 crossed the 70,000 + mark. Out of this, 47,000 were enrolled International Students full-time international students were enrolled in undergraduate programs as full-time students. The numbers have since been growing. Host family welcomes and encourages participation in family and community activities. They are arranged by the school and students are matched with families who share similar interests. Dormitories are usually separated by gender. Most dormitories come furnished, and are an ideal way to become involved in campus activities and meet other students. Since renting out a whole house is too expensive for one single International Student, usually many other students (who share similar preferences and habits) join hands to share or rent suites. These suites or houses are self-contained units with a kitchen, toilet, bath and bedroom located within a larger home. Apartments are another option and have a kitchen, toilet, bath, and one or two bedrooms. Most rental apartments do not include furniture or meals. Some, however, include the cost of heat and/or electricity in the rent. In Canada, a public health care system covers visits to doctors and specialists, as well as some hospital stays and medical procedures. Dental costs, prescription eye glasses, and non-prescription drugs are not covered and can be paid for through the purchase of private insurance coverage. Each province administers its own health care system and the requirements for international students to access health care will vary from province to province. Overall, international students have access to good health services coverage at an affordable cost. Health insurance must be arranged before arrival in Canada. Student can purchase health coverage from a private health insurance company or enroll in a university or college health plan. The health coverage requirements vary from province to province and some provinces provide health coverage plans to international students. The major intake for Canada primarily is in the ‘Fall’ Season which means in the month of September every year. So, you should plan your study program accordingly at least one year in advance. Other intake is in the ‘Winter’ Season which means in the month of January, every year. However Intakes might also depend on the students program and the institution concerned that the student intends to apply to. There are very few institutes in Canada that offer an Intake in the month of May. All students should take up the IELTS or TOEFL (ibt) exams. TOEFL Score of 90 and above for Post Graduate Courses. Processing Time for Study Permits: 2 to 6 weeks for receipt of Initial Response, after which students have to submit their Medical Examinations reports. You have not satisfied the visa officer that your primary intention in Canada is to study, and that you will leave Canada at the end of your studies. It is possible for an international student to work in Canada and there are opportunities for jobs on and off campus. From June 2014 students holding study permit will be eligible to work off-campus for up to 20 hours per week during academic session and for full-time during vacations as there will be no need to apply for work permit separately. Course however must be of six month duration or more leading to degree , diploma or certificate at a designated institution. We, at SIEC Education take every step to ensure that you get a Student Work Permit that really fulfils the requirement of being a full-time student at a Participating Institution. Gives students education-related work and learning experience that integrates theory learned in the classroom with practical application and skill development on the job. Cannot be valid for longer than the student’s study program (For example, if you graduate from a four-year degree program, you could be eligible for a three-year work permit if you meet the criteria). If you graduate from an eight-month certificate program, you would be eligible for a work permit that is valid for no more than eight months only. International students are welcome to apply for the Canada Open Work Permit as it has been designed to attract students to study in the various universities across Canada. Only International students who get a Canada Study Permit first will be able to get the Canada Open Work Permit. With a secured Canada Open Work Permit in their hands, students face no restrictions whatsoever on the type of jobs they can do. Also, they are free from the bother of getting any Job Offer Letter from any Employer in Canada. Yet another attractive feature of the Canada Open Work Permit is that it is also applicable to the students’ spouses, common-law partners of temporary overseas professionals, and overseas students who want to work in Canada for a Canadian Employer without the hassles of finding a confirmed Job Offer Letter from an Employer in Canada. How do International Students become Eligible to apply under the Canada Open Work Permit? There are some guidelines introduced by Citizenship and Immigration, Canada (CIC)that need to be followed by both International students and their spouses or common law partners for getting their Canada Open Work Permit. These guidelines are mentioned below. You must also be in a valid fellowship program or holder of a valid Work Permit.